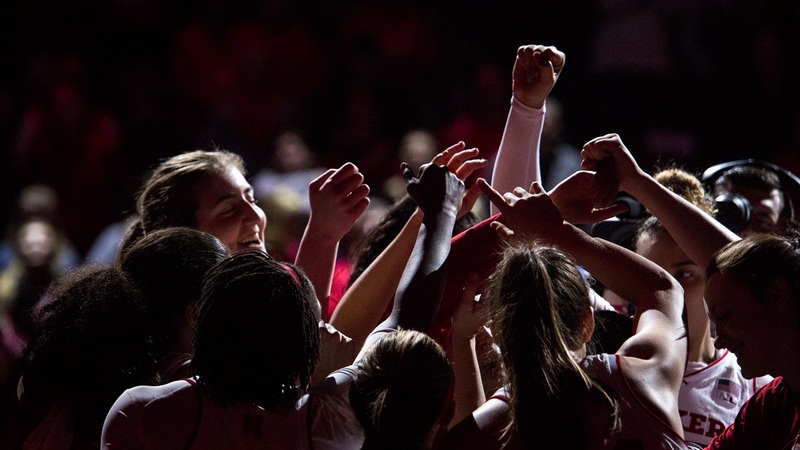 While the Husker men set off for New York City, the Husker women are preparing to invade Bankers Life Fieldhouse in Indianapolis for the 2018 Big Ten Women's Tournament. Play begins on Wednesday, Feb. 28, but head coach Amy Williams' group will enter the field as a three-seed with a double-bye. Nebraska (20-9, 11-5 Big Ten) had a last-second shot at a No. 2 seed when they faced then-13th-ranked Maryland (23-6, 12-4 Big Ten) on Sunday, but it didn't fall. Still, a double-bye is as good as it gets for a team that finished last season 7-22 in the regular season. The other top seeds are as follows: No. 1 seed and regular-season conference champ Ohio State (24-6, 13-3 Big Ten), No. 2 seed Maryland and No. 4 seed Minnesota (22-7, 11-5 Big Ten). Here's how the bracket sets up for the week. The first three days of the tournament will be available only on BTN2go or regional sports networks, but semifinal action on Saturday will be carried on BTN and the championship on Sunday will air on ESPN2. On Friday, the Huskers could face Michigan, Penn State or Illinois. Nebraska met the Wolverines only once this season, falling 69-64 in overtime at home on Jan. 13. The Huskers also only faced Penn State once, beating the Lady Lions 59-51 on Feb. 22. Nebraska met Illinois twice, taking both meetings by eight points and then 15. Should Nebraska advance to Saturday, it could face the Terps again for a third time this season. Maryland took the first meeting in Lincoln by seven on Feb. 4. Despite Maryland's pedigree, Nebraska has been right there with the Terps in each game this year. The Huskers faced Ohio State and Minnesota once each as well, dropping a Dec. 28 visit from the Buckeyes, 73-61, and topping the Gophers on the road 79-74 on Dec. 31.